Los Angeles County is poised to save about $25 million after conducting an audit that ensured its employees’ healthcare plans went only to eligible dependents. 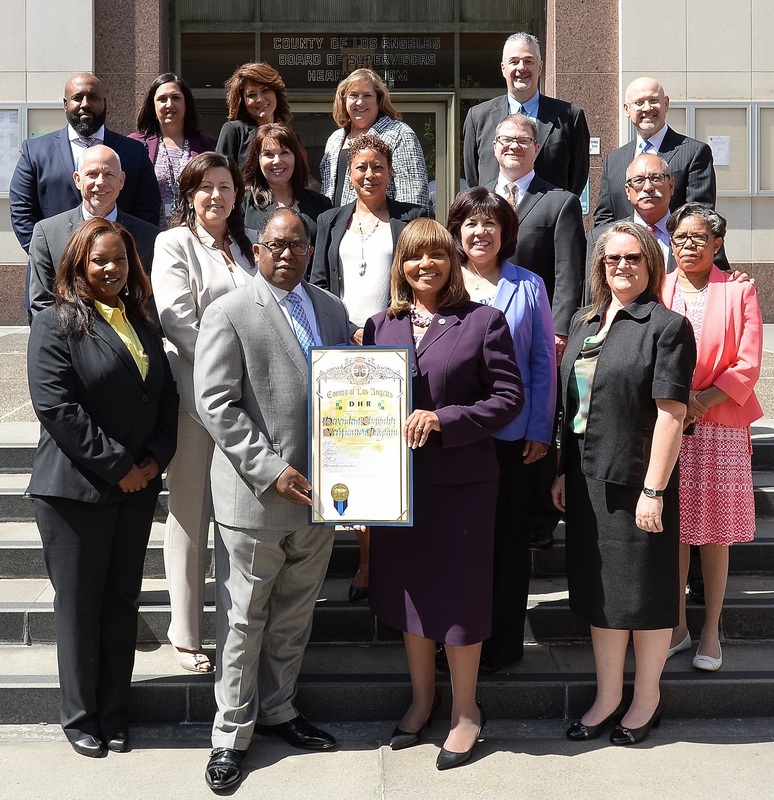 Acting on a motion by Supervisor Mark Ridley-Thomas, the Board of Supervisors awarded scrolls to the Department of Human Resources (DHR), which led the Dependent Eligibility Verification process, and to other agencies, including labor unions, contractors and consultants that supported the effort. “This is particularly important as the County spends nearly $1.1 billion on subsidized health benefits for employees and their dependents,” said Supervisor Ridley-Thomas. “As the County continues to look for efficiencies and strategies to offer quality benefits that are cost effective for both employees and the County, I thank the Department of Human Resources and all of the individuals and teams who made this Dependent Eligibility Verification such a successful endeavor,” he added. To control costs and ensure the sustainability of the County’s health benefits system, DHR reached out to the 63,000 employees who listed spouses, domestic partners and/or children as dependents. It asked them to submit marriage and birth certificates or other documents as proof of their continuing relationship. DHR collaborated with SEIU Local 721 and the Coalition of LA County Unions to get the word out about the review, and tapped HMS Employer Solutions with Unisource to verify the documents. The Registrar-Recorder/County Clerk also assisted in the verification. The process resulted in a 3.4 percent reduction in ineligible covered dependents, saving the County $7.8 million in 2015 and $17.8 million in 2016.